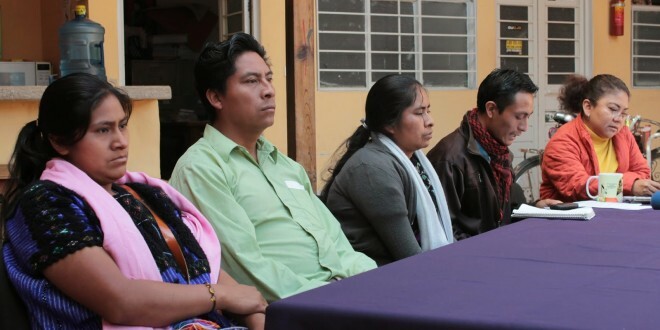 An official in Chiapas said yesterday that peace had returned to the municipality of Chenalhó following the resignation of its mayor. But things took a turn for the worse just a few hours later when a 14-year-old died from a gunshot wound. The young girl was shot in the community of Puebla during a confrontation between followers of Rosa Pérez Pérez, who was forced to resign as mayor on Wednesday, and the new mayor, who was sworn in yesterday morning. For the last two months a faction had been trying to force the mayor, elected last year, out of office. After they kidnapped two state Congressmen on Wednesday, Pérez Pérez relented and handed in her resignation. 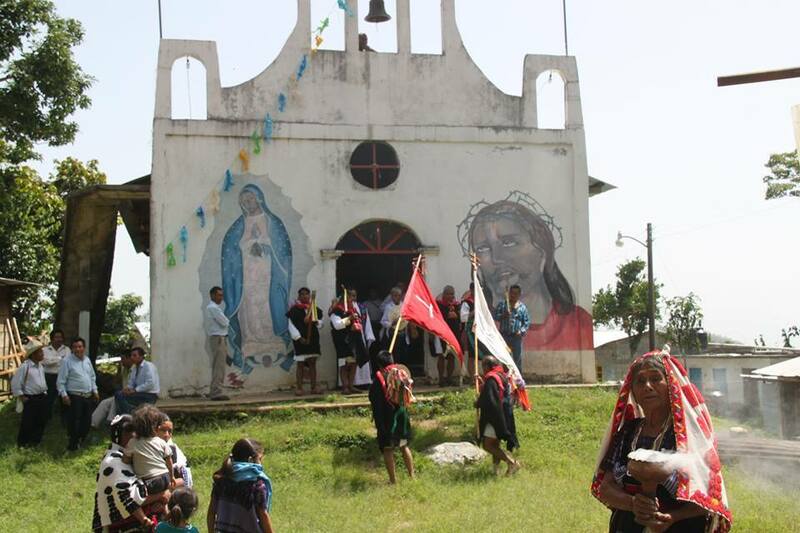 Chiapas Government Secretary Juan Carlos Gómez Aranda said yesterday that with her resignation all was calm in Chenalhó, most of whose inhabitants are Tzotzil Maya, and the conflict was over. But citizens are of a different mind. The family of the shooting victim are supporters of the former mayor; the two men charged with homicide in her death are supporters of her substitute, Miguel Santíz. According to one report, the latter faction arrived in Puebla, a stronghold of Pérez supporters, firing rifles in the air and mocking residents over the former mayor’s departure. Later, the Pérez faction set fire to houses belonging to several Santíz supporters. At least half a dozen people were wounded during the confrontation. 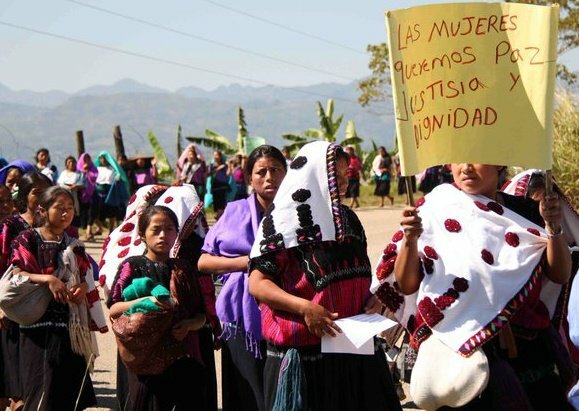 The National Women’s Institute, a federal agency, yesterday called on electoral institutions and authorities in Chiapas to protect the rights of women to participate in the political process. In a statement it said that of the 34 women elected as mayors last year, four have since resigned and their place taken by men. In at least two of those cases the women had been put forward as candidates at the last minute in order for political parties to meet gender balance requirements. Last week, the Civil Society organization Las Abejas de Acteal (hereafter, Las Abejas) issued two public denunciations. The first described the murder of their compañero Manuel López Pérez, a member of Las Abejas, as well as fear for the lives of his wife and 11-year old son. The second denunciation expressed concern for the life of Antonio López Jiménez and his family, also members of Las Abejas. Both families are residents of Pantelhó municipality, which is adjacent to Ch’enalvo’ (Chenalhó) municipality where Acteal is located. Included below each denunciation was a description of the problems both men have had with the Pantelhó municipal authorities. Several facts stand out: the families of both men were displaced from their native San Joaquin community in Pantelhó municipality; the current municipal president and municipal judge are also from San Joaquin community; and some of the paramilitaries who participated in the Acteal Massacre and were released by Supreme Court decisions live in Pantelhó, described as a violent municipality. On June 23, 2015, they murdered Manuel López Pérez, a member of the Civil Society Organization Las Abejas de Acteal. The organization reports that Manuel went to the municipal capital of Pantelhó and on the way back, in the company of his son Juan López Guzmán, 11, at the Sibaluk’um Bridge, almost one kilometre from the municipal capital of Pantelhó, 7 masked individuals dressed in military type clothing and with firearms, ambushed the public transport vehicle in which he was traveling, killing him with three shots, two in the head and one through the back. The information that the organization of Los Altos of Chiapas has collected, is that the Pantelhó judge, Pedro Girón López, who displaced and threatened Manuel on previous dates, and the comandante of the municipal police, ordered his 11-year old son to state that his father was traveling in another car ahead of the one in which he was going, and that if he told the truth, it wasn’t just the killers that were going to prison, but also him. “This act evidences the complicity of the official authorities facing this assassination,” the Acteal Organization assures. Today we announce other death threats, vigilance, harassment, against Antonio López Jiménez and his family (hereafter Antonio and his family), members of the Civil Society Las Abejas, natives of the San Joaquin community, municipio of Pantelhó, Chiapas. They currently live in the municipal capital of Pantelhó and have lived there since 2007 when authorities of PRD affiliation, now Green Ecologist (PVEM) displaced them from San Joaquin. Their crime was and is not accepting projects from the bad government and being in resistance and constructing autonomy. Antonio and his family just like our compañero Manuel, assassinated on June 23, entered our organization together. 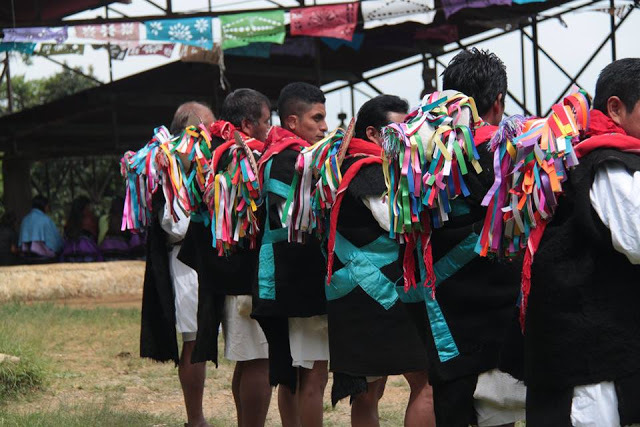 They are members of the Civil Society Las Abejas of Acteal organization. After the crime against our compañero, we fear for the lives of Antonio and his family, since the Pantelhó municipal authorities as well as the [municipal] president and the Judge instead of respecting, guaranteeing and protecting the physical and psychological integrity of our compañeros and compañeras, are accomplices in a series of threats against Antonio and his family, besides the fact that the mentioned judge threatened Manuel with death and according to testimonies, told his son that he should prepare his weapon for killing him. We are worried about the physical and psychological integrity, as well as the life of Antonio and his family, since Pantelhó is known as a very violent municipio where the authorities permit murders and let them go unpunished. If they did not respect the life of our compañero Manuel, despite the fact that he was a member of our organization, with greater reason we fear that Antonio and his family can be attacked the same way, we place responsibility on state and federal authorities, as well as on the municipal authorities of Pantelhó. We want to place in evidence before national and international civil society that the authorities mentioned know what’s happening against the two families. Whatever happens to our compañero Antonio and his family, those responsible will be the authorities of Pantelhó: Miguel Entzín Cruz, municipal president, Pedro Girón López, Municipal Judge, [Governor] Manuel Velasco Coello and [President] Enríque Peña Nieto. The latter two have the obligation to respect, protect and guarantee life and human rights. And afterwards they are not going to say that they don’t know what happened, because that is the custom of the bad governments. 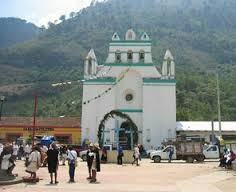 In a communique published on 23 June, Catholics from the Chenalhó parish who make up part of the Believing People pronounced themselves in favour of the closure of cantinas and alcohol dispensaries in their municipality. They stressed that “the consequences of the consumption of alcohol are disastrous, such as suicides, deaths, motor-vehicle accidents, and divorce.” There exist some 21 cantinas, three restaurants, and two grocery stores in the municipal seat. 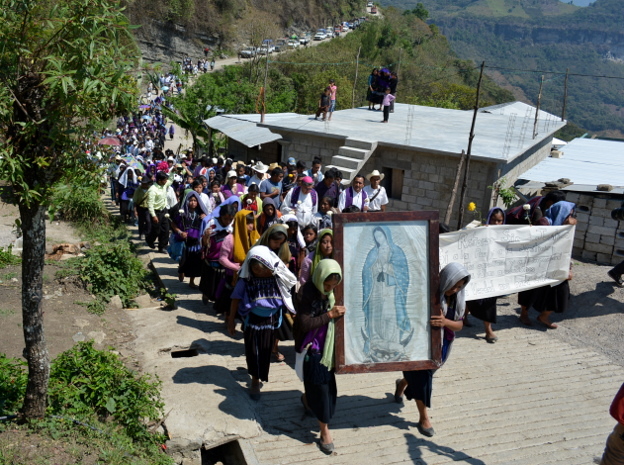 On 14 April, 104 persons belonging to the Catholic community of Ejido Puebla, returned home to work their land and return to the social dynamics of the community. This return has taken place as a result of the unbearable suffering being experienced by the Tsotsil ejidatarios of the municipality of Chenalho. It has taken place without justice, for the perpetrators still remain unpunished by the three levels of government: The ejidal commissioner Agustín Cruz Gómez and his other compañeros remain unpunished despite being identified as the main perpetrators. The displaced were accompanied by the Fray Bartolome de Las Casas Human Rights Centre, by Bishop Arizmendi Esquivel, by the pastor of Chenalhó, Manuel Perez, and by government representatives headed by Eduardo Ramírez Aguilar, secretary of government. The 17 families displaced from Ejido (also known as Colonia) Puebla, in the municipality of Chenalhó, Chiapas, have announced at a press conference that they will be returning to their homes on Monday, 14th April. They have called on the media and members of civil society to accompany their return, which will leave from Yabteclum, Chenalhó, at 9am on Monday. Don Felipe Arizmendi, Bishop of the Diocese of San Cristóbal de Las Casas, will be present. According to information documented by the Fray Bartolomé de Las Casas Human Rights Centre (Frayba), today, in the ejido Puebla, Chenalhó, at approximately 01:30 hours, the house of the family of Normelina Hernández López and Macario Arias Gómez – forcibly displaced since August 23, 2013, along with 17 other families, totalling 100 people, who are now in the community of Acteal, Chenalhó – was totally burned down. A few days earlier, on March 7, 2014, at 06:30 hrs, José Gómez Cruz, found the door of the catechists’ room burned. It is noteworthy that these events occurred despite the presence of about 30 members of the State Preventive Police who did not realize what had happened. Following these events, the Centre for Human Rights expresses its concern about the persistent climate of violence and the risky situation in which the forcibly displaced families find themselves. Given the seriousness of recent events, their return will be more difficult. We hold responsible for this situation, through failure to act, the government officials who, instead of seeking justice, maintain and allow the impunity which creates tension and violence1. 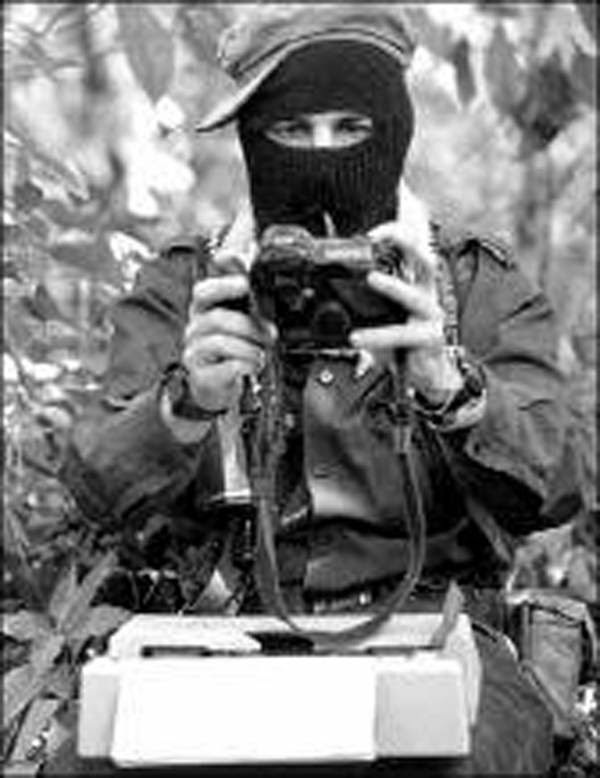 To mention a few examples of impunity: on July 20, 2013 , the same authorities of ejido Puebla arbitrarily arrested two support bases of the Zapatista Army of National Liberation: Mariano Méndez Méndez and Luciano Méndez Hernández, and another person from the ejido: Juan Lopez Méndez, with the false accusation of having poisoned the water of the community2; on August 21, 2013 , Manuel Pérez Gómez, pastor of Chenalhó, was arbitrarily deprived of his liberty for seven and a half hours3, and on 21 August, 2013, due to the level of violence reached, 17 families were forcibly displaced4. Frayba has expressed, repeatedly, our concern about the lack of access to justice which causes increased violence and the status of forced displacement of the 100 people. This signifies a continuing violation of the rights: to personal integrity, freedom of movement, residence and housing, established under universal instruments promoted, signed and ratified by the Mexican government, including: the American Convention on Human Rights articles 5 ° and 22 °, and the International Covenant on Economic, Social and Cultural Rights article 11, first paragraph, as well as the non-implementation of the Guiding Principles on Internal Displacement. On February 26, 2014, in the ejido Puebla, Eduardo Ramírez Aguilar, General Secretary of Government and Victor Hugo Sánchez Zebadúa, Secretary for Religious Affairs, officially handed over the estate of the Catholic chapel to the Diocese of San Cristobal de Las Casas, in this act Agustín Cruz Gómez, ejidal Commissioner, was present as the legal representative of the ejido Puebla. On April 7, 2013, in the ejido Puebla, Chenalhó, 32 believing families of the Catholic religion made an agreement to start the refurbishment and reconstruction of the new chapel, because the former was deteriorating, resulting in a risk to the population. From that day there have been a series of acts of physical aggression, arbitrary detentions, cruel, inhuman and degrading treatment, destruction, theft and forced displacement against 17 families.